The Buffalo Farm has Scotland's largest herd of Water Buffalo and the buffalo roam the hills at Clentrie farm Auchtertool. The business was set up in the spring of 2005 by Steven Mitchell, with the objective of producing superior quality meat to market direct to the public both through local door to door sales and on a wider scale through farmers markets. Since then The Buffalo Farm has developed into a full butchery business which includes a retail wholesale outlet at Boglily Steading as well as traditional butchery counters at Blacketyside Farm and Craigie’s Farm, a catering supply, event and private catering as well as an onsite café, the Bothy, at Boglily Steading. Steven Mitchell, is the 6th generation of the Mitchell’s farming in Fife, following in the footsteps of Robert Mitchell who began farming in the early 1800s. As a child Steve’s passion was always cows, but, inspired by his uncle’s pork farm and its development into a retail business, which he found suited his personality and skills, he considered how his love for cattle could be developed into his own idea. 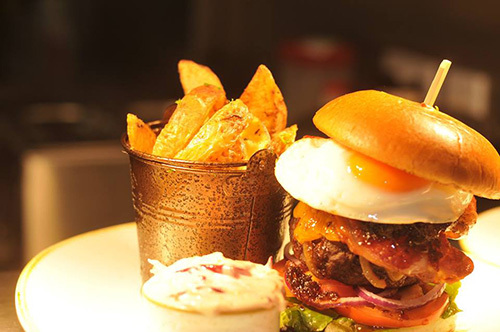 With Scotland having such a wealth of quality beef producers already on the market, it had to be something different and so the Buffalo Farm was born. The attractions to water buffalo are countless - they produce a very healthy meat that is lower in cholesterol, higher in mineral content and less than half the total fat content of conventional lean beef, and in the words of Chef Nick Nairn it tastes “pretty damn fantastic”. Find out more about the health benefits of Buffalo meat here. Perhaps the reason for their excellent flavour is that they have not been subject to many of the modern intensive farming practices and so are technically the same animals they were thousands of years ago. The business has since gone on to win various awards for outstanding products. 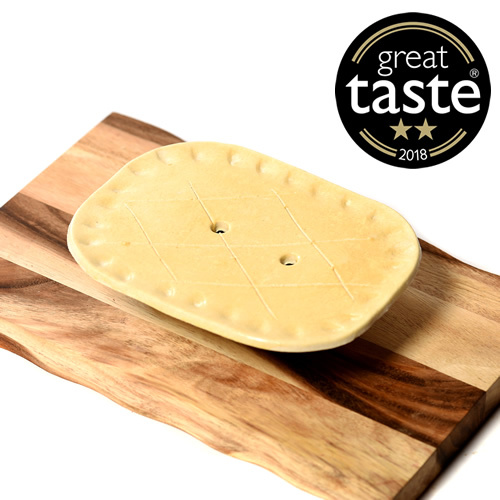 Some of these include: 2-star Great Taste Awards for our Buffalo Steak Pie and black pudding and 1-star Great Taste award for our Buffalo Tuscan Burgers in 2018. Our Buffalo fillet steak was also the Winner in the Best Meat Category at the Scottish Food & Drink Excellence Awards 2016. Plus, we have also been crowned Pork Sausage Champion 2017 for our Pork Sausages and have also received various Scottish Craft Butchers awards for our steak pies, scotch pies, steak burgers and sausage rolls. To see our full range of award-winning products, click here. 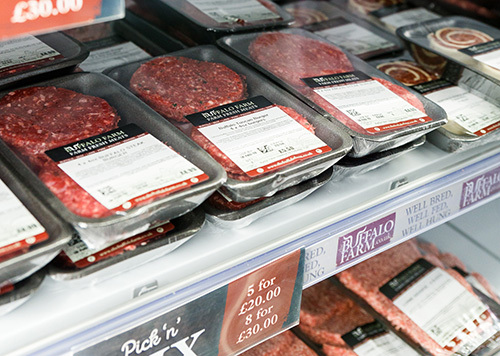 With a great selection of fantastic value meat packs, oven ready meals, steaks, award winning pies and more, there's plenty to choose from in our shop at Boglily Steading. For more info, click here Can't find what you're looking for? We have a team of our experienced butchers on hand to provide any cut you require! We keep a few permanent guests here at Boglily who love to say hello to our visitors! We have a group of Pygmy goats as well as their kids - they're very friendly and love attention! We also have 2 adult emus, Bog and Lily, as well as their family. And we can't forget our Talking Turkeys, Gobble and Gobble - they’re never quiet for long because if you talk to them, they’ll talk back! So, make sure you bring the kids along on your next visit - our animals are sure to keep them entertained.